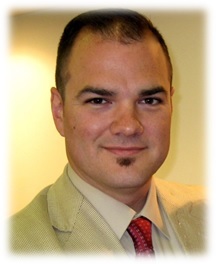 Dr. Timothy Zimmerman Witmer grew up in New Holland, Pennsylvania where he was raised in a Christian home. He attended West Chester University where he became a Christian through the ministry of Campus Crusade for Christ. After graduating with a Bachelor of Arts in Philosophy (1975) he attended Westminster Theological Seminary (Philadelphia) where he completed the Master of Divinity degree. 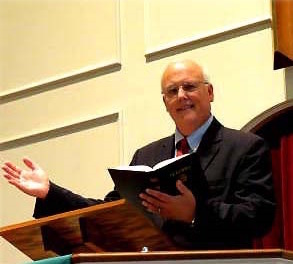 On November 11, 1979 he was ordained as a Teaching Elder in the Presbyterian Church in America (PCA) and was installed as Assistant Pastor of Berith (now Springton Lake) Presbyterian Church in Newtown Square, Pennsylvania. He was called as Pastor of Crossroads Community Church in Upper Darby, Pennsylvania and was installed on December 14, 1986. While at Crossroads he began his doctoral studies at Reformed Theological Seminary (Orlando). He received his Doctor of Ministry degree in 1998. In 1999 he was invited to join the faculty of Westminster Theological Seminary where he served as the Coordinator of the Practical Theology Department. 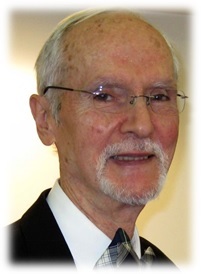 He “retired” from his ministry at Crossroads in January of 2014 and was named Pastor Emeritus. Shortly thereafter the Lord opened the door for him to serve as part-time pastor at St. Stephen Reformed Church. His ministry at the church officially began at St. Stephen on January 1, 2015. He retired from his work at Westminster Seminary, being named Emeritus Professor of Practical Theology, and came to St. Stephen fulltime on September 1, 2017. He married Barbara, his high school sweetheart, on July 26, 1975. They have three children: Sara, who is married to Joel Schuster; Rebecca, who is married to Mike Smith; and Nathan. The Witmers have seven grandchildren: Mikayla, Abbie, Kathryn, Emma, Lily, Benjamin, and James. He was motivated to write The Shepherd Leader as he became aware of increasing numbers of congregations who were like sheep without a shepherd. His objective is to see all church leaders embrace their calling to shepherd the flock. Please click on “http://www.theshepherdleader.org” to learn more. The Shepherd Leader: Achieving Effective Shepherding in Your Church, Presbyterian and Reformed Publishing Company, 2010.
http://www.theshepherdleader.org/ur Family, Crossway/Good News Publishers, 2012. Nathaniel grew up in Lancaster County, attending Pequea Valley High School where he first met his high school sweetheart, Kelsey. They married 6 years later in June 2009. He became a follower of Jesus Christ as a teenager in high school. He is a graduate of Lancaster Bible College, where he earned a Bachelor of Arts in Pastoral Ministry & Biblical Studies. He earned his Master of Divinity degree at Knox Theological Seminary, while also taking courses at Westminster Theological Seminary. Nathaniel has served as a youth leader in the Pequea Valley Youth Link and was a volunteer staff member at The Factory Youth Center. He has served at St. Stephen Reformed Church since 2015. Nathaniel and Kelsey, with their sons Moses, Elijah and their daughter Eden, live in New Holland. He enjoys reading, films, drinking coffee with friends, spicy food, Lancaster City, riding bicycle, walks through New Holland, and studying cultural engagement. A few of his favorite authors are John Calvin, Herman Bavinck, Francis Schaeffer, Timothy Keller, Andy Crouch, R.C. Sproul, Paul David Tripp, and David Powlison. His favorite book of the Bible is Genesis and his favorite passages are the Cultural Mandate (Genesis 1:28) and the Road to Emmaus (Luke 24), in which the resurrected Jesus opens the Old Testament to the disciples. Faith was raised in a conservative Christian family, in a small town named Greencastle. Growing up the youngest in her entire family, she never had the opportunity to dote on younger siblings or cousins. That said, she filled the void by serving in the children’s ministry at her church as often as she could. 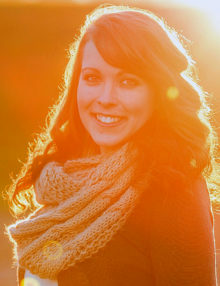 After graduating from Mason Dixon Homeschoolers Association in 2009, Faith began work as the Assistant Program Coordinator at Camp Joy El, located in Greencastle PA. Faith also began taking online classes through Liberty University Online to complete her Associates in Bible that same fall. It was at Camp Joy El that Faith really began to hone her skills and passion for thematic programming, teaching the Bible, and ministering to children. After serving at Camp Joy El for just shy of two years, and sensing a change in the Lord’s direction for her life, she decided to complete her degree in Children and Family Ministries at Lancaster Bible College. She moved to Lancaster January 2012 and had no idea all the Lord had in store for her. While at college, she served as an RA, Admissions Assistant, and was part of the Dead Theologians Society, all while keeping up with a full course load and developing her relationship/planning her wedding with her now husband, Nathan. 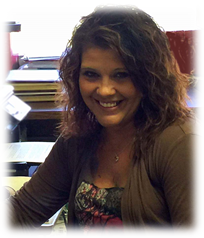 Faith graduated Lancaster Bible College second in her class with High Honors, in 2014, with a degree in Children and Family Ministry and a minor in Professional Counseling. After graduation, Faith had the joy of studying in Israel for two and a half weeks. Once returning to the states, Nathan and Faith married in July 2014 and moved to the west side of Lancaster near Mountville. Faith began teaching Pre-Kindergarten for Veritas Academy that fall. Faith worked for Veritas Academy up until her and Nathan’s daughter Adelaide, was born in June 2016. 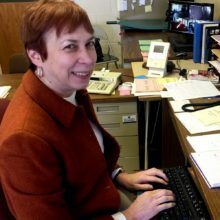 It was during the spring before Adelaide’s arrival, that Faith began to transition into her work at St. Stephen Reformed Church as the Children’s Ministry Director. Faith enjoys cooking and baking healthy things, playing with her daughter, Adelaide Mae, watching Marvel superhero movies with her husband Nathan, and all things yellow. She also plans and coordinates weddings on the side for couples in the Lancaster, Harrisburg, and Philadelphia area. Faith is passionate about teaching children more than simple Bible stories, but teaching them a systematic theology and full understanding of Scripture and how it applies to their life. Her favorite passage of Scripture is John 15. Faith also has a special spot in her heart for the Heidelberg Catechism and Martin Luther. 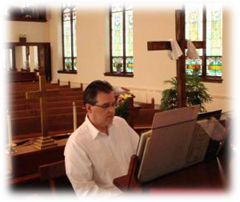 Doug is a graduate of Philadelphia College of Bible (now, Cairn University) with a Bachelor of Science in Bible and Bachelor of Music in Piano Performance and Vocal Performance, studying with Dr. David Shockey (voice), Dr. Sheila Threlfall (piano), Dr. Roy Brunner (organ) and the late Dr. Samuel Hsu (piano). Post-graduate studies followed at Westminster Choir College (Princeton, NJ) where he received the Master of Music degree in Organ Performance as a student of Mr. Robert Carwithen. Previously, he has held positions as organist of Great Valley Presbyterian Church, Malvern, PA, Associate Organist of Tenth Presbyterian Church, Philadelphia, PA and adjunct faculty (organ, literature, hymnology, service playing, etc.) at Cairn University. Most recently he served at Evangelical United Methodist Church in New Holland. Doug is currently the president of Buch Organs in Ephrata, PA and Dean of the Lancaster Chapter of the American Guild of Organists. He lives in the Downingtown area with his wife, Joy. Dr. Sacks began his ministry as the assistant pastor to James Boice at historic Tenth Presbyterian Church in Philadelphia. He and Pastor Tim worked together at Berith Presbyterian Church (now Springton Lake PCA) in Newtown Square, PA. Before moving to New Holland, he served on the pastoral staff of Proclamation Presbyterian Church in Bryn Mawr, PA. We have also been blessed by his musical gifts as he leads worship at our 10:30 service. He and his wife Marion moved to Garden Spot Village in 2014 and has assisted with music, preaching, and teaching since then. 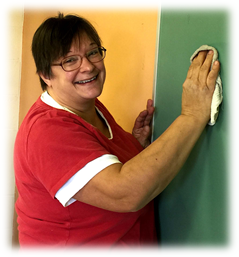 Anita has worked at various companies as an Administrative Assistant, a position she enjoyed due to the variety of duties and everyday being different. After searching for a job for 8 months, she feels the Lord lead her here. She knew many of the members prior to coming on board which makes the job so much easier. She looks forward to getting to know more people as time goes by. In her spare time she spends time volunteering with fundraising activities at Garden Spot Fire Rescue and also enjoys reading and working in her flower gardens. Charlene is a bookkeeper by day, a tax preparer by night. For the last ten years she has been St. Stephen’s secretary. Now she is working as the church bookkeeper. Jill was looking for a job change when her uncle mentioned that there was an opening at St. Stephen. “The Lord brought me here, I love my job”. Want to learn more or ask a question?